Something is broken with Comcast Business Internet. Speed test to Comcast in Salt Lake gives 2/10 – which is horribly broken. 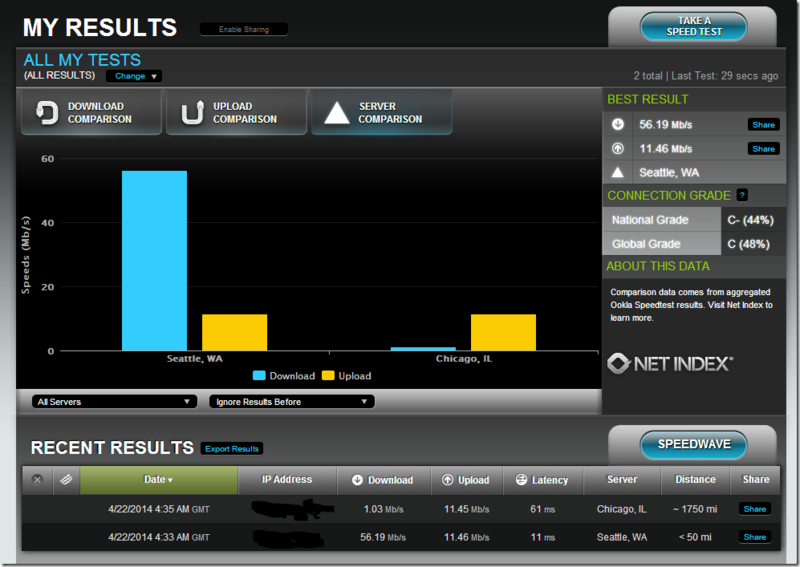 Same Ookla test outside Comcast – and I get 2/10 in Seattle. Comcast Chicago compared with Comcast Seattle.